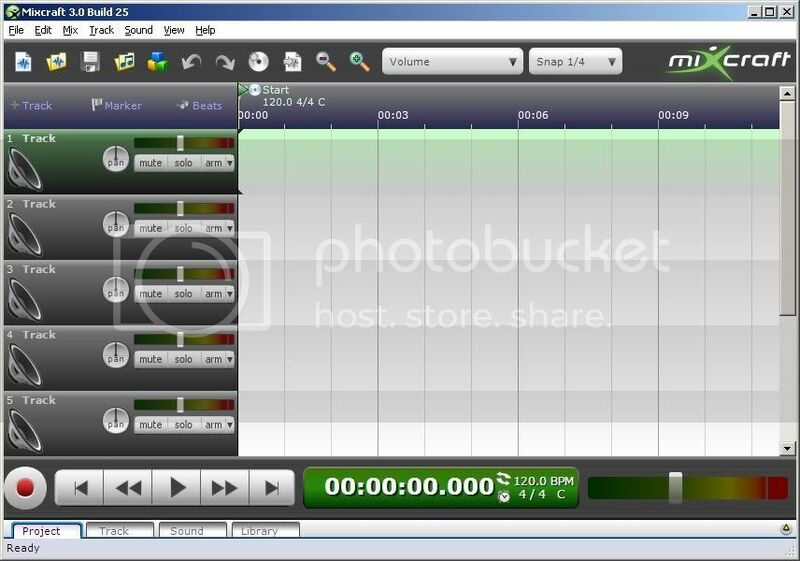 Mixcraft allows you to record and mix music like the best producers and DJs at just a fraction of the price. Its designed to be fast and easy. Focus on your creativity and not on technical details! Many users have found that they rarely need to use the help file. Cut, paste, edit and shape your sounds the way you want! Use effects like reverb, flanger or EQ or install a variety of DirectX or VST effects to add tremolo, distortion, chorus or even remove the vocals from a song! * Works with Acid™ and Apple Garage Band™ Loops. * Add unlimited tracks and effects (including VST™ and DirectX™ effects). * Record multiple tracks simultaneously. * Visually time stretch sounds with FlexAudio™. * Includes 16 ultra-high quality effects. * Mix down to MP3, WAV, and other audio file types. Ahhh, mira vos, la fusion perfecta entre Tiratelas.net y el mundo de la musica, el complemento perfecto, el sampleado preciso, el BPM exacto, y muuucho mas!!! Gracias por el aporte, me parece muy interesante, a ver que tal se me da manejarlo. Un saludete. El huso horario es GMT -4. La hora actual es: 10:48 PM.